After investing time and energy into faith formation classes and individual study, you want to give your child a memorable celebration. Choosing the right location for their First Communion party will ensure you and all your guests look back on this occasion with the fondest of memories. As friends and family gather, what will make your child’s formal acceptance into the Catholic Church unforgettable? It will likely be the big party that follows the symbolic ceremony. Once you choose the right location, everything just falls into place—everyone can relax and enjoy knowing that everything is taken care of. A centrally located event space is especially important for out of town guests who are staying at hotels. Cutting down on travel time is appreciated by all guests and allows them to arrive with their full energy. Once on-site, spaces that are set up for events will have the further conveniences of ample parking and bathroom facilities. Such basic needs should not create a burden for you or your guests. When you try to fit more people into a room than it was intended to host, you quickly sacrifice guests’ comfort and jeopardize the condition of your home. Selecting a location designed for big gatherings ensures everyone is comfortable. Expansive properties also encourage guests to mix and mingle—you may even set up a variety of food stations to encourage exploration. Your child and everyone who supports them will look forward to a bright future together when they celebrate in a serene venue that spotlights one of God’s greatest gifts—nature and all its beauty. 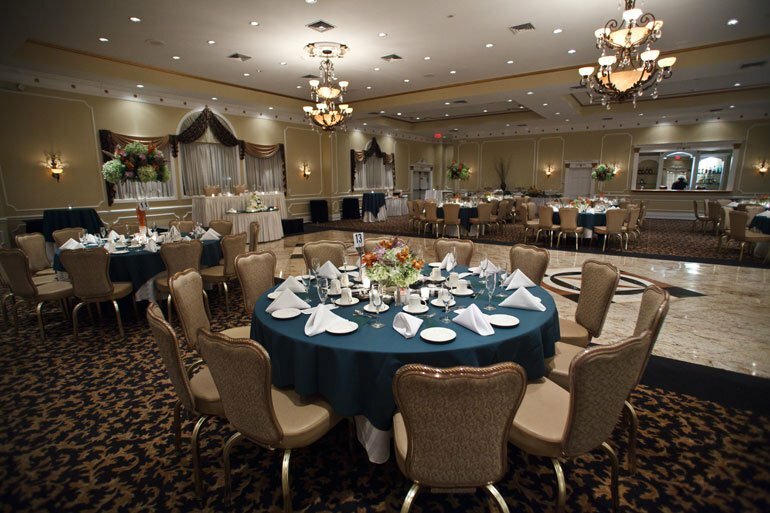 We can’t think of a more perfect setting in Ocean County than Jackson Crossing banquet hall. This elegant and graceful venue creates a peaceful atmosphere for a First Communion celebration, perfect for small, intimate occasions of 40 guests or larger parties of 130 guests. Guests will enjoy the beautiful design of this unique space. Tip: One of our favorite First Communion party ideas is scheduling a time to take group photos with the child of honor. Look for a venue that has a dramatic backdrop for these photos. A venue that is rich in history perfectly complements religious celebrations. Jacques Reception Center epitomizes old-world Rome. As guests walk down the cobblestone paths to find a beautiful Roman urn fountain, they are whisked away to another world, yet a very familiar one. The soaring ceilings, imported Italian crystal chandeliers, granite floors and stone fireplace exude the warmth of a Catholic church. 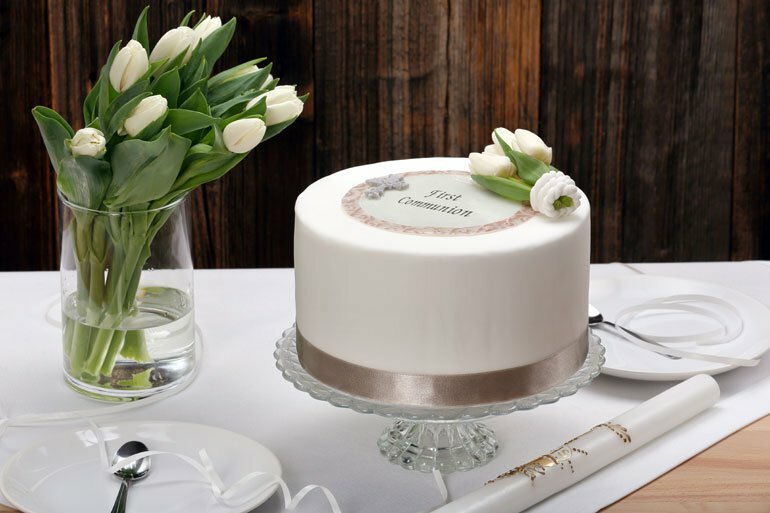 Hosting a First Communion party at a location physically distanced from the church yet with the same vibe is one of our top First Communion celebration ideas. Doing so lets you break up the event while staying true to its purpose. You will give children distinct memories of their religious ceremony and celebratory party, yet one vision. Tip: You may also set up distinct areas and events within the party. For example, let the children play inside the Middletown Reception Center while parents enjoy some adult beverages and fine appetizers in the tranquil gardens. This is an opportunity to thank all the people who support your child, and one of the best ways to do that is by treating them to an upscale menu in a gorgeous setting. 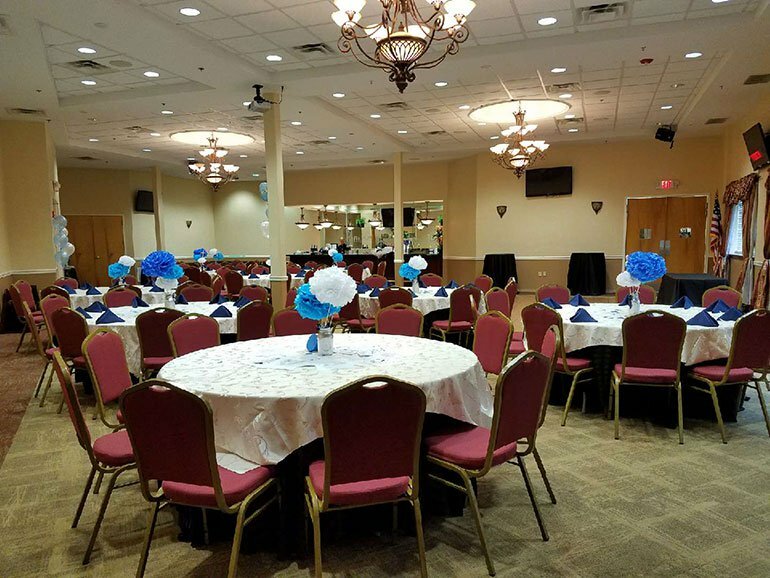 It is hard to fit enough extra tables and chairs in a home, but a top New Jersey venue already has these on hand and will set up the ideal amount for your party size. Scratching this logistic off your list gives you more time to enjoy personalizing the space with custom decorations. Just a few photos in religious frames are a wonderful touch. With staff on-site from set-up to break-down, you don’t have to step away from the First Communion celebration for even a minute. Nor does your mind—allow yourself to be fully present in these precious moments while your experienced catering team focuses on all the other tasks that create an unforgettable event. Once you have shared your vision for your custom menu, you can trust six decades of catering experience to deliver it with flawless ease. A First Communion party is a unique opportunity to take responsibilities off the shoulders of those who support your child and let them enjoy the fruits of their labor, including yourself. 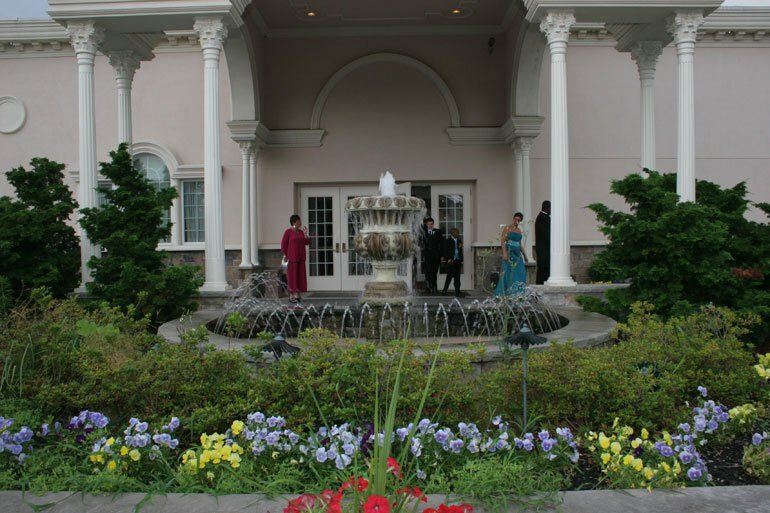 The right venue provides everything you need to savor every moment and we are here to help you find that special place; just contact us online or give us a call at 866.522.7873.